Seeking to Grow Market Share? XpandCDH™: A Better Solution for Administering Consumer-Driven Healthcare. Acero’s flagship product is XpandCDH, an integrated, scalable Consumer-Driven Healthcare (CDH) solution that allows health plans to administer sophisticated Health Savings Account (HSA) and Health Reimbursement Account (HRA) programs to provide greater value to health plan consumers. 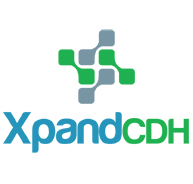 By synchronizing health account data in real-time with the health plan’s core benefit plan, XpandCDH allows CDH products to truly deliver on their potential — both in terms of the consumer’s experience and the plan’s bottom line. Because it closely integrates with the core claims system, once implemented the solution requires little or no additional work to configure new products or adjudicate/adjust claims. In addition, tight integration permits the administrator to manage eligibility data with more accuracy, ensuring accurate account payments for valid dates of services on a timely basis. Meanwhile, the program’s real-time pharmacy benefit integration eliminates a variety of scenarios in which minor errors can require time-consuming adjustments due to out-of-sync data — such as consumers paying when they are not required to, or vice versa. Our solution also eliminates delays and reduces administrative costs for the plan, thanks to fewer, shorter phone calls, and less need for claim reprocessing or adjustment. In short, XpandCDH provides enhanced CDH service and operational support, eliminates problems caused by a lack of synchronization and reduces overall costs for handling claims and calls. Copyright © 2011-2019 Acero Health Technologies, Inc. All rights reserved.